Bristol Street Motors was founded just under 100 years ago in Birmingham as a small car dealership and has over those years strived to excel with every customer. In 2007 Bristol Street Motors was purchased by Vertu Motors and has since grown hugely in size, coordinated by its CEO Robert Forester, a Burnley football club fan and family man, Robert has for many years strived to make sure that his business is not only growing nationally but majors on being at the heart of the community it serves and supports that community at every opportunity. Bristol Street Motors lives by its operational values which include Commitment and Recognition in everything it does and for those that work so hard to achieve its goals. These values are also part of what makes the Mumbler awards so important and we are privileged to this year be able to support the awards as the Headline Sponsor. We are consistently rated by Nilson among the top five global payment providers and our internationally recognized processing platform and end-to-end processing capabilities provides confidence to businesses around the world. Elavon is backed by the strength and stability of U.S. Bank. Winning the World’s Most Ethical Companies Award by the Ethisphere Institute in 2015, 2016 and 2017 and ranked as the 4th top payments provider in Europe, you can feel confident working with us. Wonder Media are a web design agency based in Harrogate. They specialise in responsive website design, web development, wordpress, and magento ecommerce solutions. 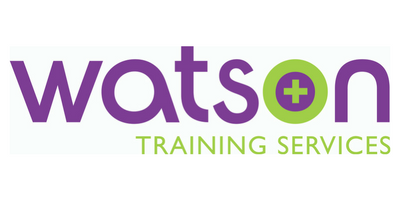 They also offer a range of internet marketing solutions including email newsletters, search engine optimisation and social media branding. 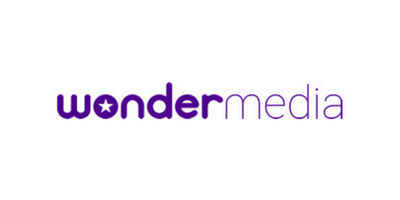 Working with businesses in Harrogate and across the UK, Wonder Media specialise in helping small and medium sized businesses reach their full online potential. 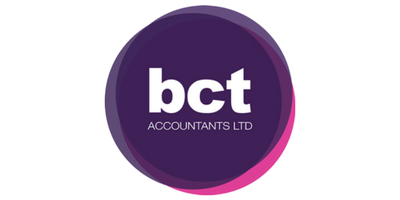 BCT Accountants is a family run practice with a wealth of experience and a passion for business. Forget stuffy offices and dull business meetings – we are here to offer our take on accounting; a modern, forward-thinking approach designed not only to crunch numbers and maximize your profits, but to discover the best steps forward for your business through investigation, planning and performance. We are passionate about your business! This is why we do what we do. We understand what it takes to grow and develop your business from where it is now to where you want it to be, and we’re ready to help you. Businesses are no longer the sole property of Business Men, and we formed BCT because we recognised this. We work with you to create tailored solutions to your business needs in order to save you time and money. 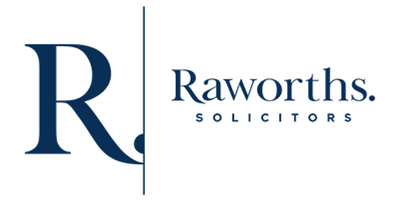 Raworths is one of the largest, and longest established firms of solicitors based in North Yorkshire. We are a modern, forward thinking firm based on traditional values and expertise, providing a range of services to both commercial and private clients. We are accredited to a variety of externally audited national quality schemes. We are approachable and business like and have developed a culture of working as a team with our clients, across the firm and with others. We provide peace of mind, reduce risks and help solve problems. In a business environment we become part of your team and work with you to achieve your goals and make things happen. Aladdin’s Cave of partyware, covers just about any excuse for a party, from party tableware to fancy dress and if they haven’t got it they will do their utmost to get it for you. Balloons are a speciality, you wouldn’t believe what they can do with them and once you’ve had a fabulous bouquet of balloons from party fever you won’t want to go back to ‘supermarket specials’. They’ll personalise one especially for the Birthday boy or girl whilst you wait. There’s an extensive range of fancy dress costumes, wigs and accessories in store plus the back up of a 24hr ordering service from an 800 page plus catalogue if you don’t see what you want on the rail. New in store, is a printing service to compliment the already popular personalised balloons, sashes and banners. Party Fever now offer personalised giftware such as personalised mugs, money boxes, cushions and short run offs of t-shirts, perfect for events such as Hen Parties. So next time you have a party to plan, call in to see the friendly team at Party Fever and see what they can help you with. With over 15 years national & international experience, DJ Mark Green can be found performing regularly in the regions hotels & party venues. Supported by a quality sound & light system, DJ Mark Green can provide a highly professional sound track to your next wedding, party or event. Having been to see a large number of MUMblers over the past year he understands the importance a personalized service can make. He is happy to meet clients in their own home at a convenient time, unfortunately for him that’s usually in the evenings after the kids have gone to bed! As a thank you for all the kind recommendations from Mumbler, Stewart is happy to waive his usual broker fee to all members of the group. Mention that you’re a Mumbler to qualify. We are Harrogate’s’ best choice for quality car service. We can service all cars to their recommended manufacturers schedule. We have courtesy cars, collection and delivery, while you wait services. Our new office at Follifoot Ridge Business Park, just opposite the Follifoot Riding Stables on Pannal Road, has easy access to Harrogate or Leeds. We offer all of our Mumbler customer 20% off parts and labour and we always speak in plain English about any repairs your car may need. We always give you prices before we do any work and advise you when essential work will be needed to help you budget for the costs for the future. Genuine, Honest and reliable car servicing. Reel Film is a Yorkshire based UK focused video production company, creating powerful, compelling and creative content for leading global brands and small businesses. We produce, create, edit and distribute HD video of the highest quality for a range of clients who trust us to create their video time and time again. At Reel Film, we have a friendly approach, and our clients know that they can ask us anything during the video production process, and beyond! We enjoy a creative, effective, yet relaxed relationship with everybody we work with, producing results which are beneficial for all stakeholders. And clients keep coming back to us, with over 80% of our work generated through repeat custom or by recommendation. FT Audio Visual Ltd give a first-rate audio visual service throughout the UK. Services include the hire of lighting and effects, pa systems, plasma and LCD screens, projectors, video equipment, video cameras, stage decks and truss. Queen Ethelburga’s Collegiate comprises four schools and a kindergarten, each with its unique qualities, but all sharing a common purpose of providing students with a first class education and the opportunity to work towards higher education and a successful career. There are strong academic standards across the Foundation and students are encouraged to have high expectations for their achievement and career prospects. There is a very wide curriculum available, which enables students to pursue their individual interests and aspirations across a range of fields, alongside a vast array of extra-curricular opportunities which enable students to widen their experience and gain both skills and confidence. Visitors to QE often remark on the productive and cheerful atmosphere that pervades and the purposefulness of the pupils as they enjoy the considerable opportunities that the environment provides. We welcome you to come and see for yourself what makes our pupils so successful. Our percentage of local sales is very high for our size and our turnaround is swift. We’ve spent the last 25 years getting to know every inch of the Harrogate district and its property market, and we study it constantly. That knowledge, and our unique sales approach – always friendly, never pushy – means we’re unusually good at finding buyers. Heal - Medical and Wellness Spa. Originally founded in 2014 by Oliver and Matthew Highland-Edmonds as Foot 1st Podiatry, the business quickly developed to include beauty and hair services. With this came a move to Harrogate’s Montpellier Quarter, a brand new name and the birth of Heal – Medical and Wellness Spa. Heal offers a unique blend of medical treatments and beauty therapies, all under one roof. Combining the luxurious feel of a beauty spa with high, clinical standards, Heal is designed to heal your body, enhance your well-being and enrich your life. All of our treatments are underpinned by medical guidelines and adhere to strict hygiene requirements, ensuring you receive the highest standards possible. Whether it’s Podiatry based foot therapy treatments, beautifully manicured nails, hair or beauty, you can be safe in the knowledge that we adopt the same ethos through our whole treatment menu. We use only carefully chosen products so you can always be confident that you’re in safe and caring hands.